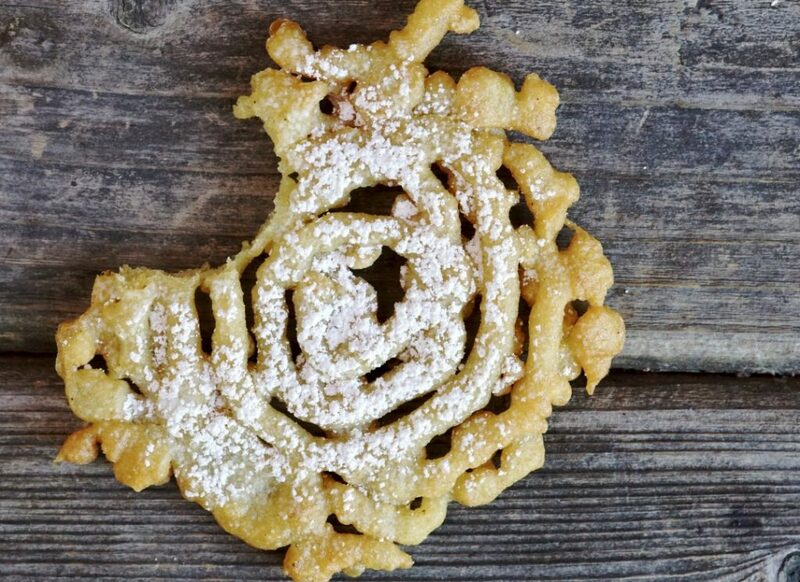 Funnel Cake will forever remind me of strolling through crowded street fairs in NYC as a kid. 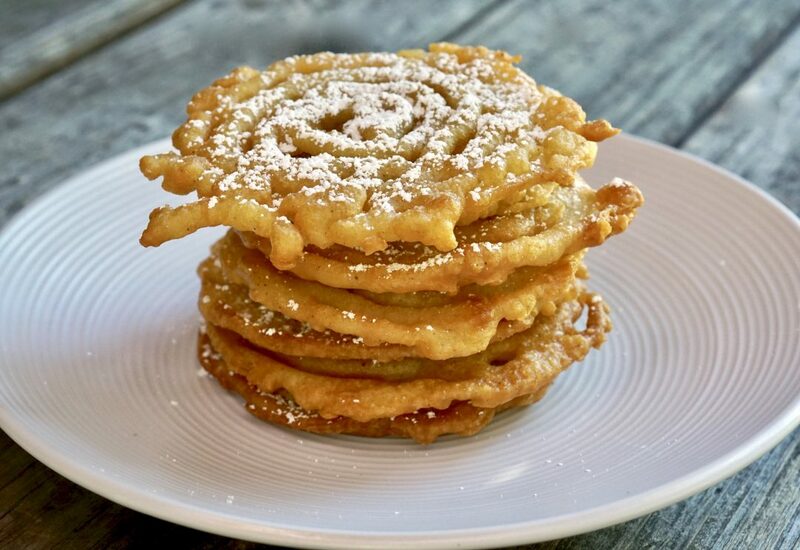 Funnel cake, which is essentially fried dough batter with powdered sugar sprinkled on top, is a food popular in North America at carnivals and street fairs. But this treat is believed to have traces back as far as the middle ages. Pennsylvania-Dutch immigrants are credited to having brought this yeast dough specialty, similar to “drechderkuche,” to America around the late 1800’s. Baking powder later replaced the standard yeast in this new version, which were coined “funnel cakes” because of the way that they are made. As the name suggests, funnel cakes were (and often still are) made my pouring batter into hot oil through a funnel in a zig-zag motion. These days, it is more common to see a funnel-like spout pitcher, or measuring cup, rather than a funnel. 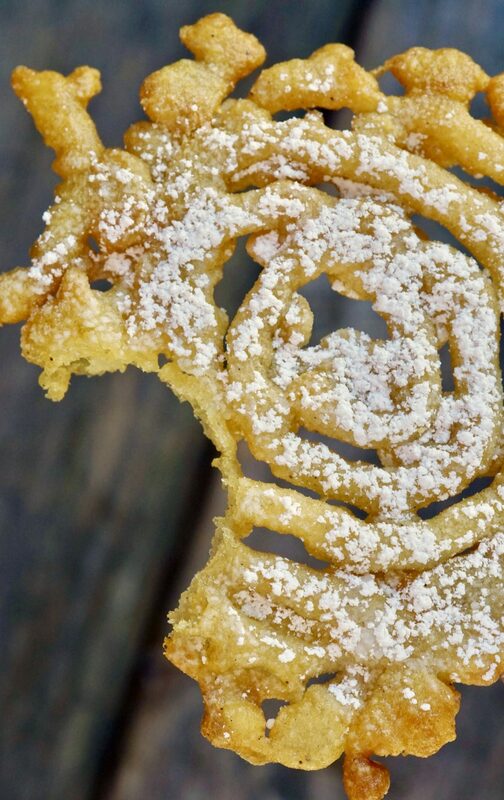 The best funnel cake is served hot, straight from the pan, dusted in powdered sugar. Many cultures have a similar version of our beloved funnel cakes. In Germany, the equivalent is called “strauben;” the Finnish call theirs is “tippaleipa;” in parts of Asia, there is something similar called “jalebi;” and in Spain there are “churros.” Although there is variation between these creations, most typically they are served as breakfast items. My family and I go back to NYC often, but funnel cakes are not something my boys know. I felt like it was time to introduce them. They were not disappointed. 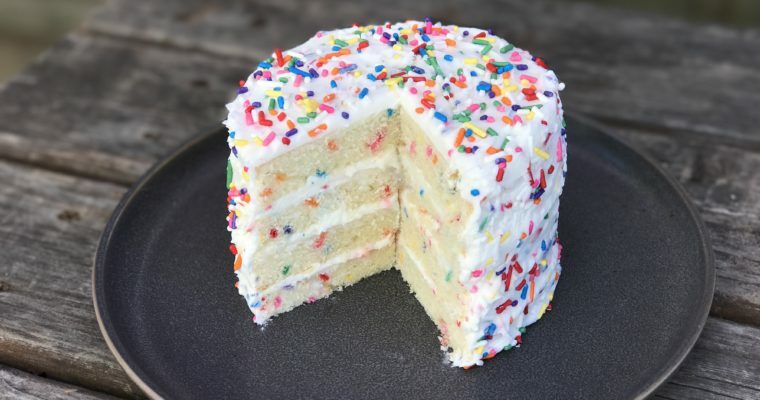 Perfectly fried, still slightly doughy but also crispy and golden brown, and topped with powdery white confectioners’ sugar–they were, for me, a great reminder of carefree childhood days. Step 1 In the bowl of a kitchen mixer fitted with a whisk attachment, add the milk, egg, vanilla extract and ground vanilla beans. Turn the mixer on low and whisk well to incorporate. Step 2 In a small mixing bowl add the flour, sugar, baking soda and salt, mix well. With the mixer on low, slowly add the flour mixture. Whisk on low until smooth. Slowly add the melted butter and mix until incorporated. Step 3 Transfer the batter to a large mixing cup in order to easily transfer it to a squeeze bottle (my preference) or actual funnel. Line a baking sheet with paper towel and set aside. Step 4 In a large saucepan add a good amount of oil, about 1/2-inch deep. Place over medium-high heat. When hot, squeeze the batter-filled squeeze bottle while moving it in a circular motion, creating a zig-zag, spherical shape. Cook until golden brown and slightly puffed, for about 2 minutes. Using a metal spatula, carefully flip the funnel cake and cook an additional 1 minute. Remove the funnel cake from the pan and allow to drain on the prepared baking sheet. Repeat the above process with the remaining batter. Step 5 Dust the funnel cakes with powdered sugar and serve immediately.